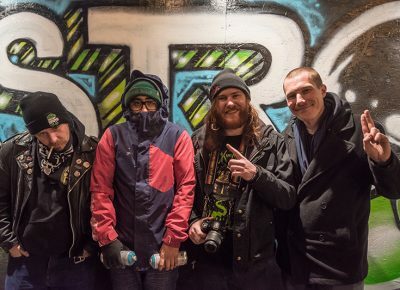 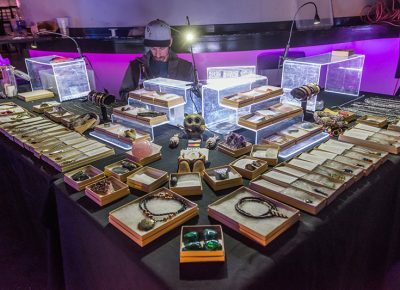 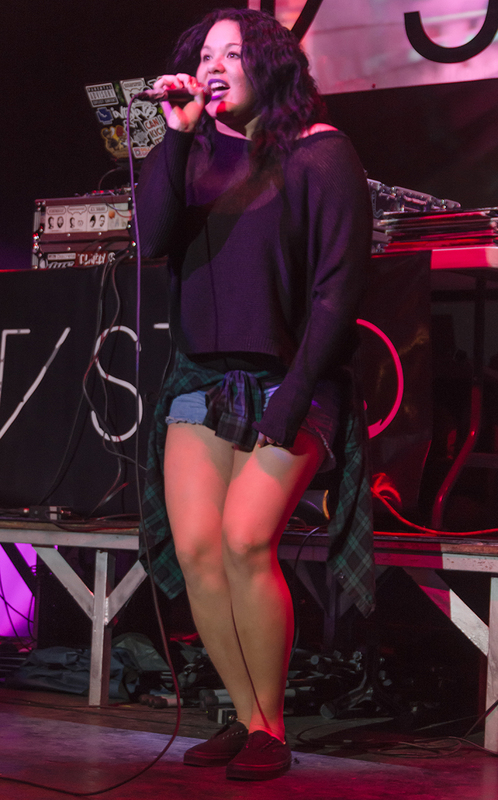 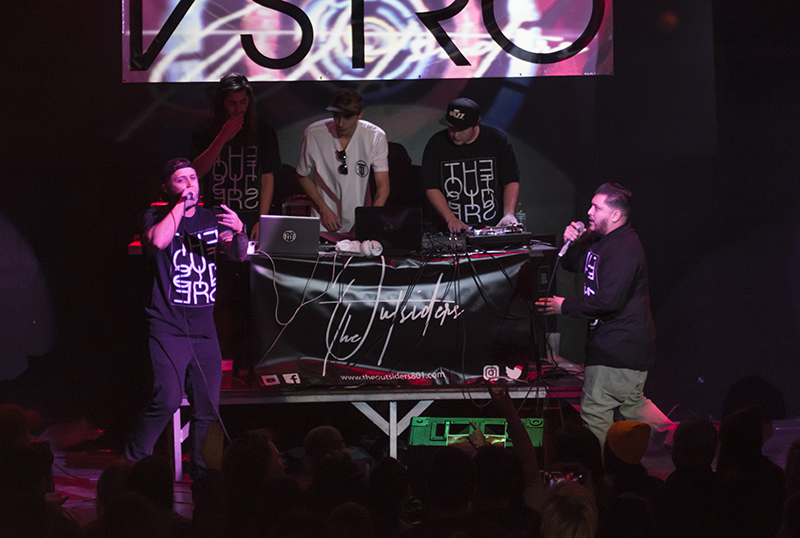 On Nov. 25, Hip Hop Roots teamed up with VSTRO and more than a dozen of Utah’s favorite local businesses to bring a unique twist to the madness surrounding Black Friday. 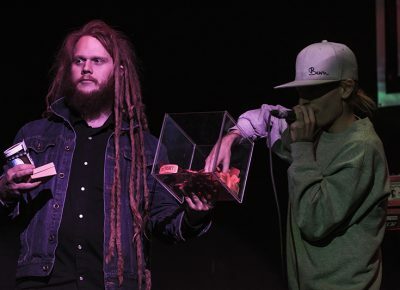 Organized and hosted by local legend Burnell Washburn, this month’s event was a free show dedicated to shining light on the local businesses that make our community’s culture great. 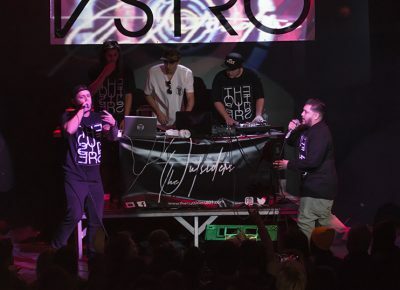 The event was an incredible success, with a packed house at Metro Music Hall and good vibes radiating from every corner. 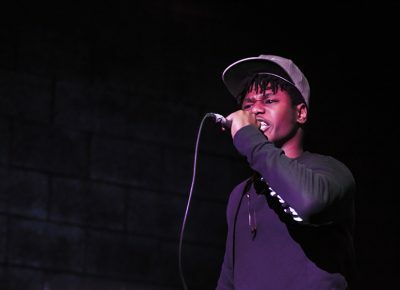 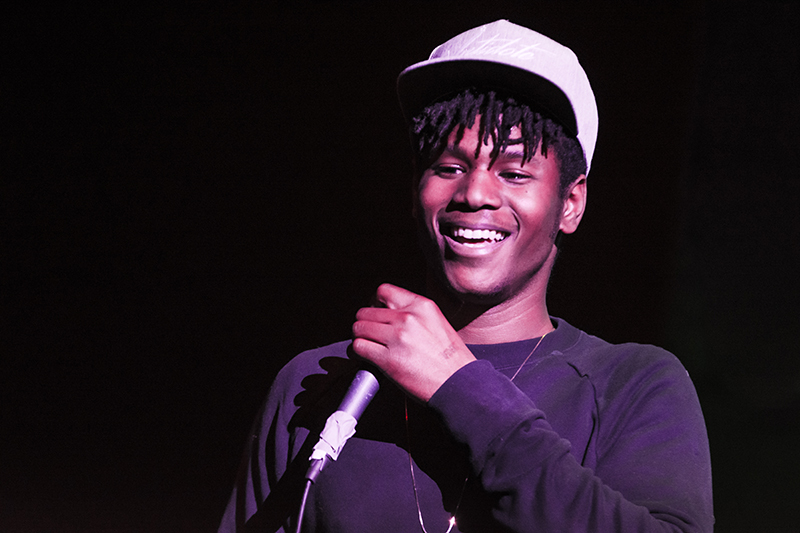 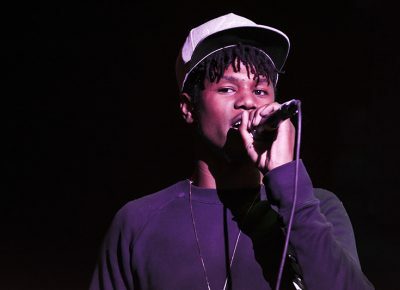 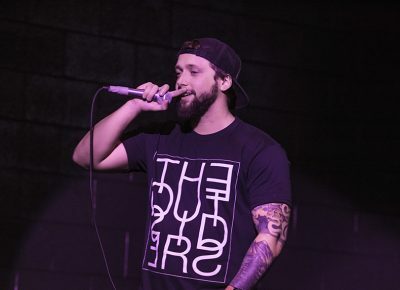 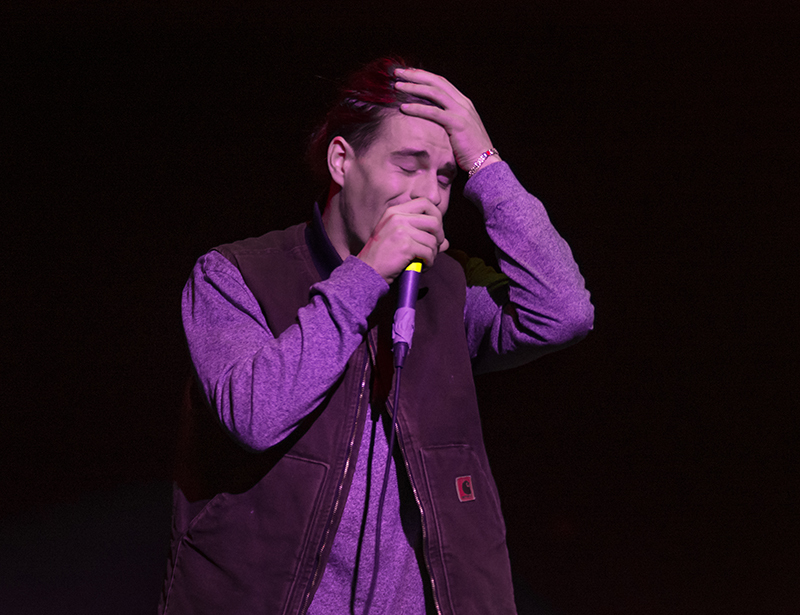 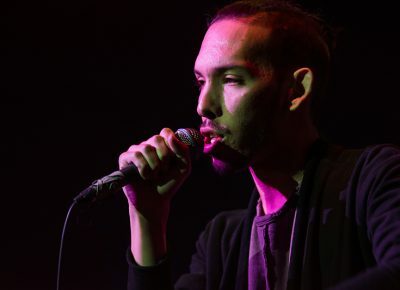 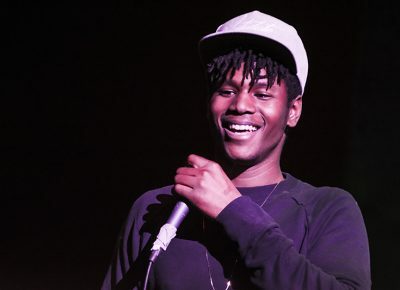 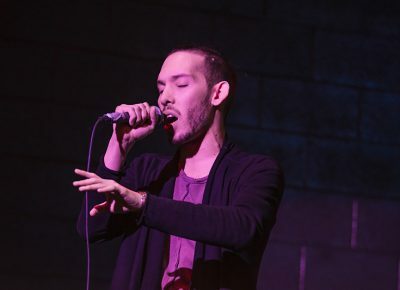 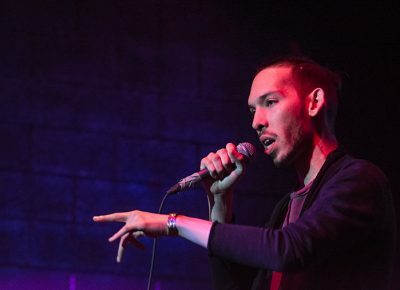 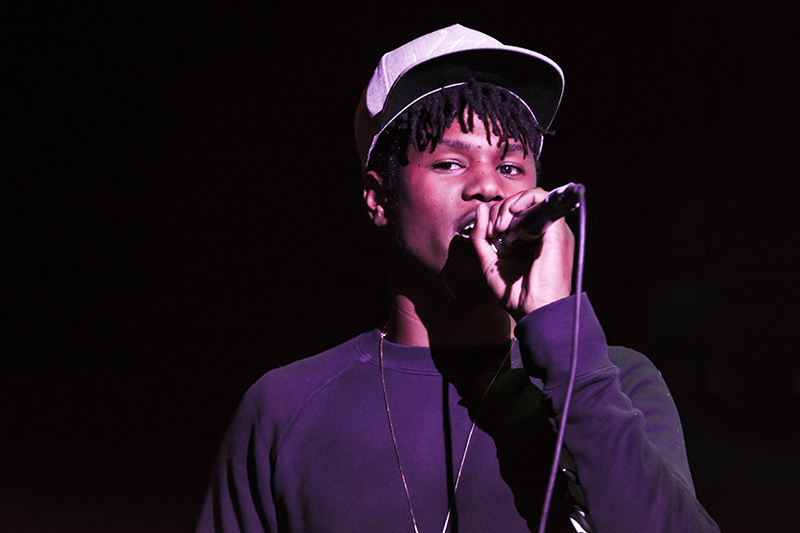 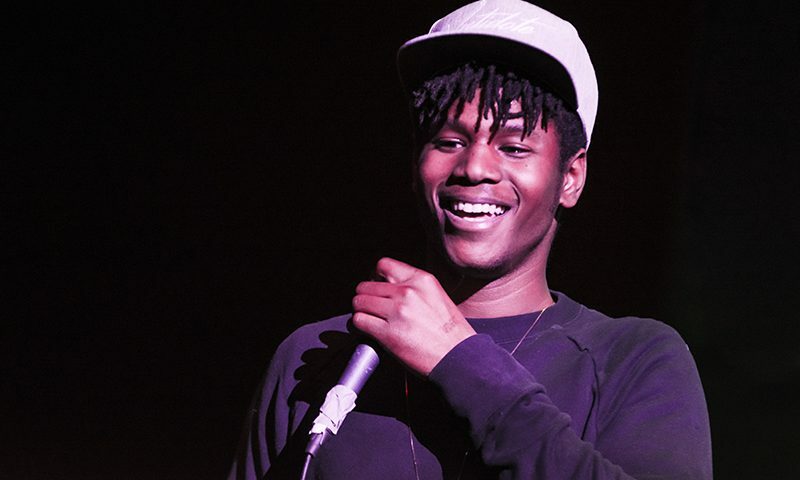 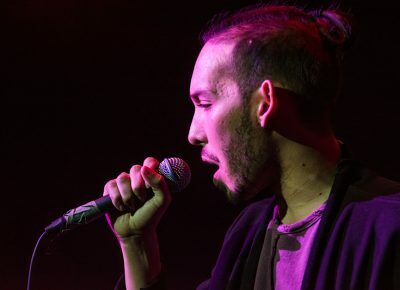 Washburn started the show with an open mic cypher, in which he encouraged any artist of any type to join him onstage for some freestyle sessions. 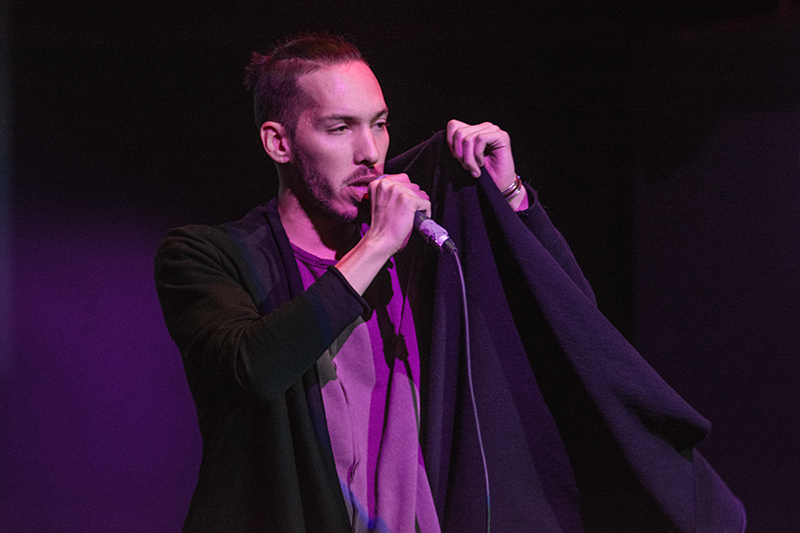 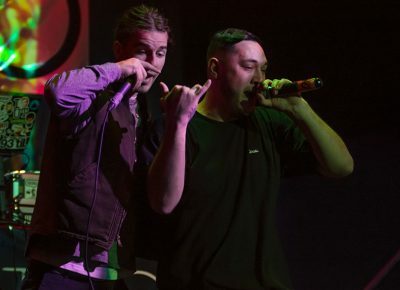 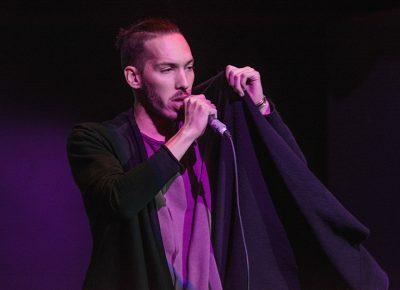 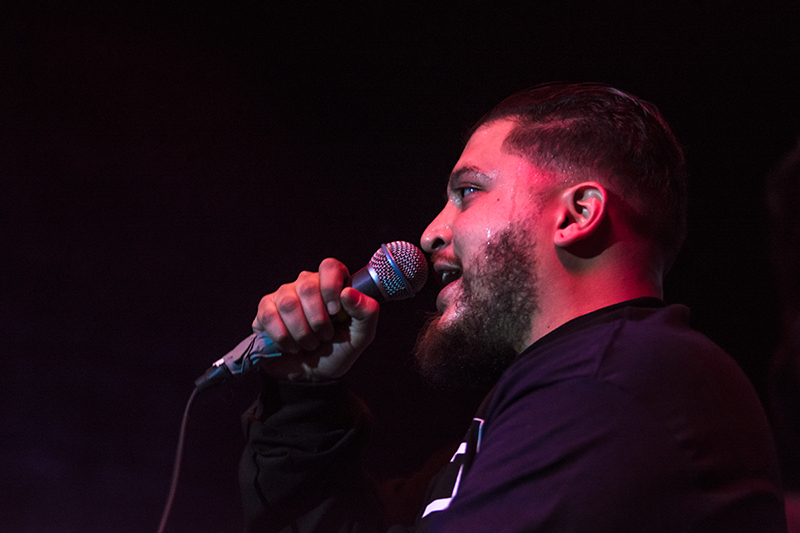 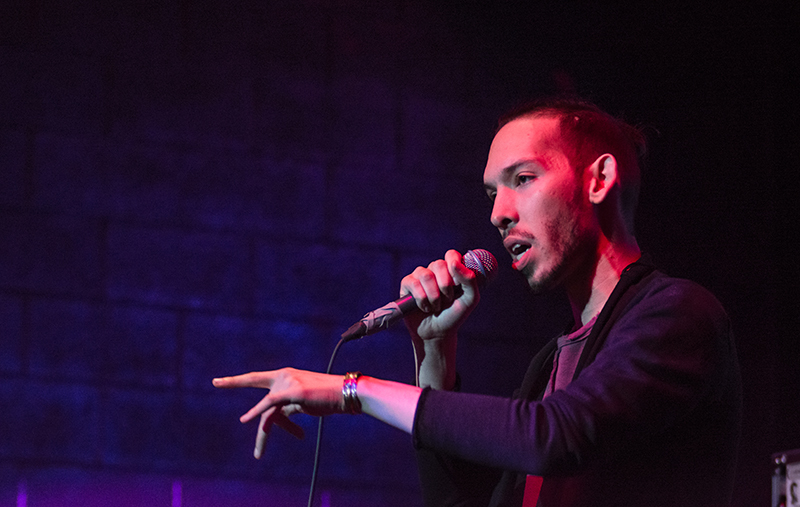 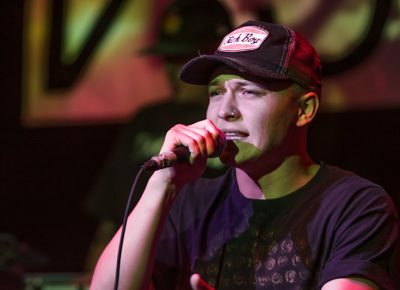 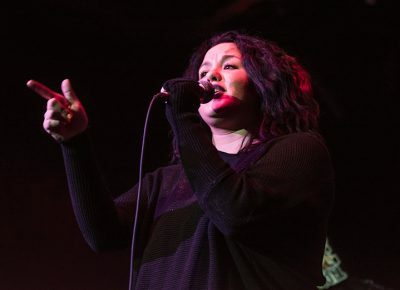 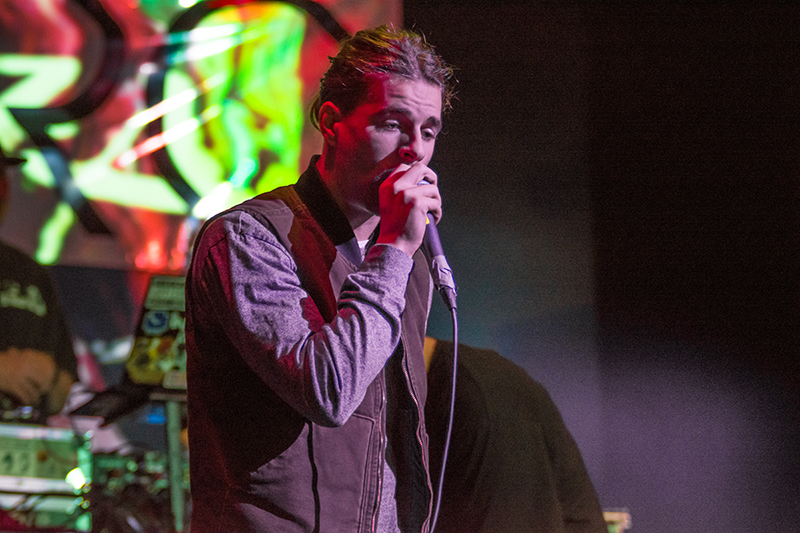 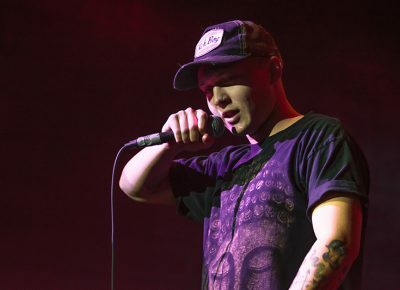 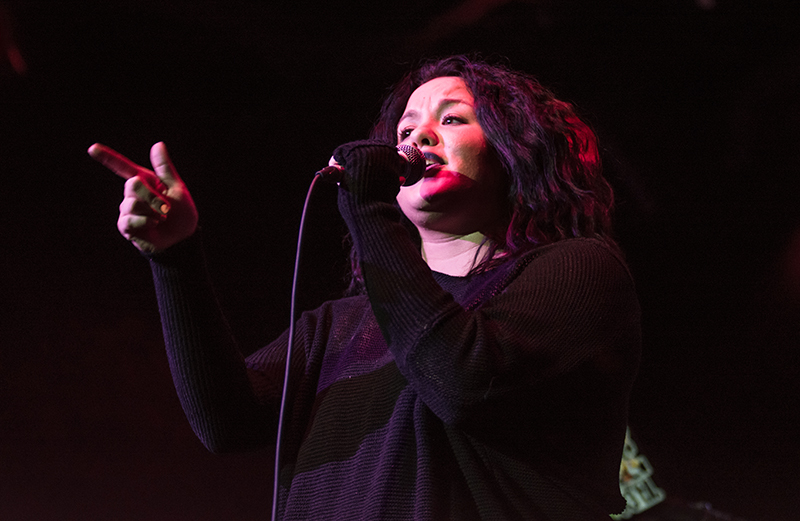 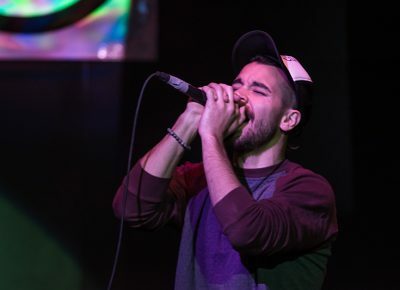 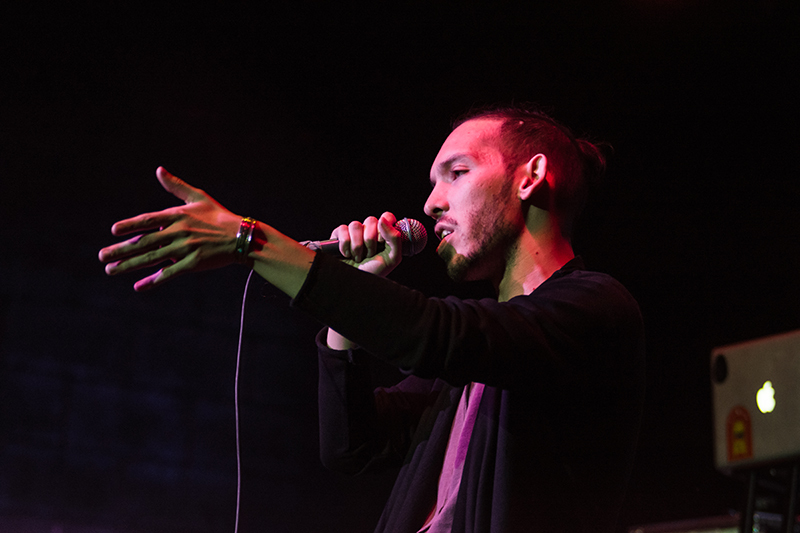 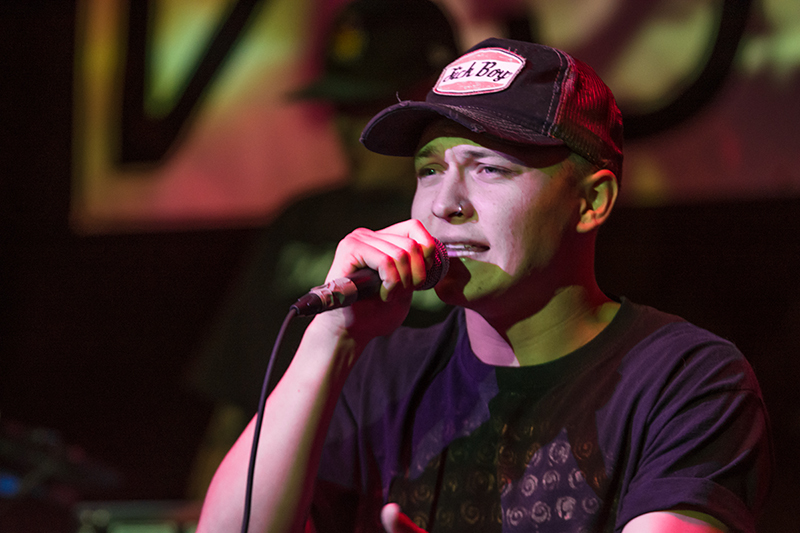 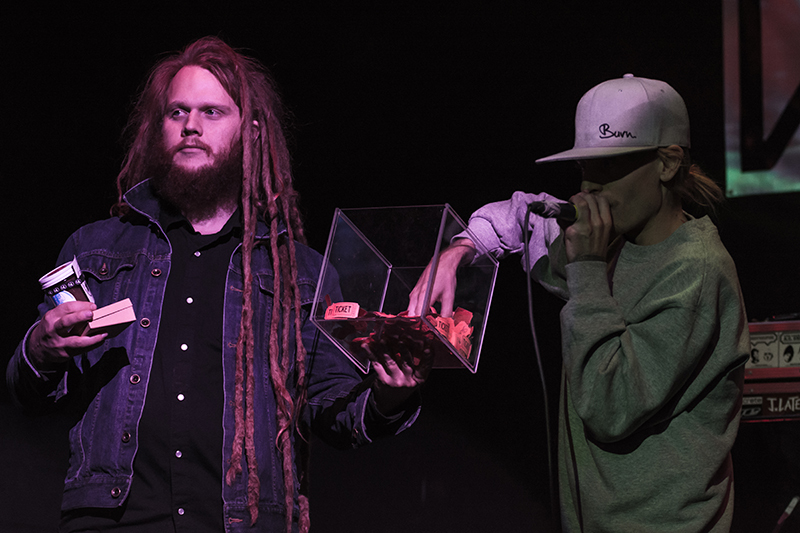 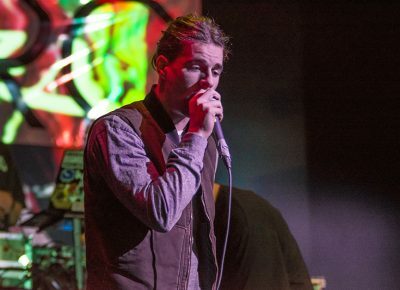 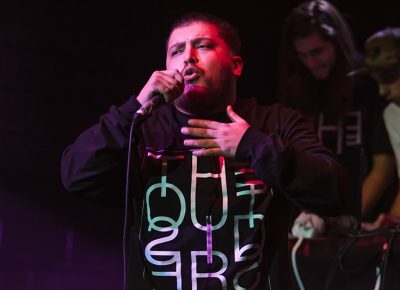 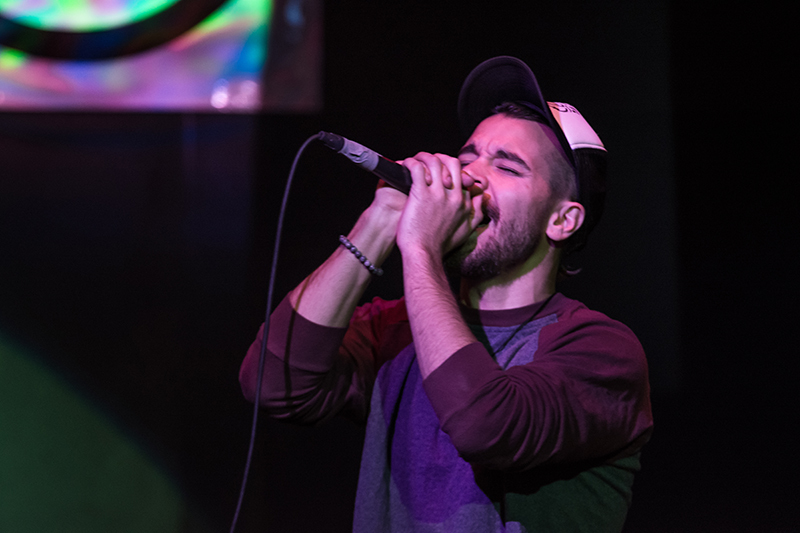 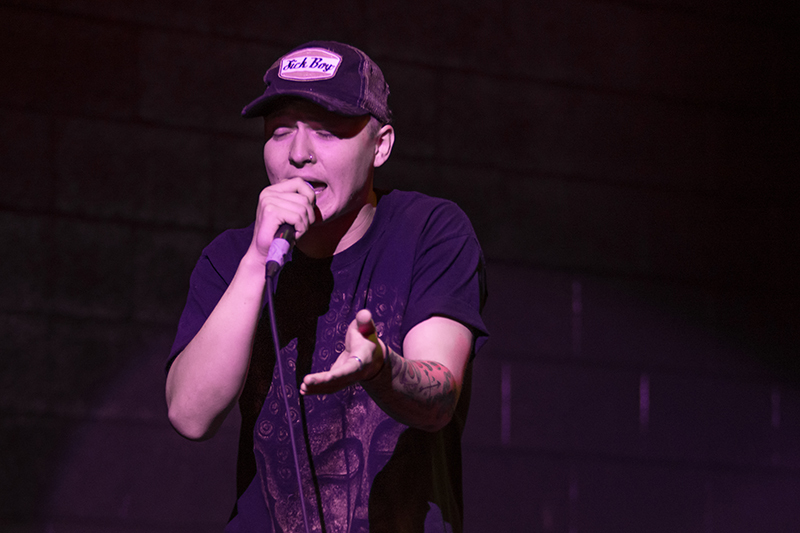 The energy seemed to get more and more hyped throughout the night, as some of Utah’s most respected local artists took the stage, including Shanghaii, Malev Da Shinobi, The Outsiders and even a surprise set from Dine Krew. 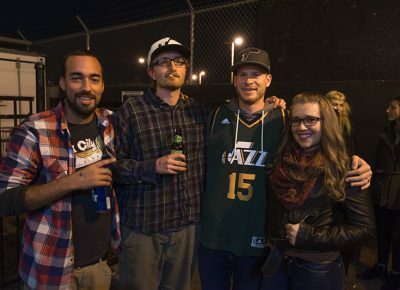 The event also included an epic raffle giveaway featuring prizes from local businesses, such as Even Stevens Sandwiches, SLC Ink, Nectar Collector, The Stockist, Publik Coffee, Wasatch Brewery, Pig & a Jelly Jar, Flower Power Productions, Borosyndicate, Dancing Crane, Eggs in the City, The Xnation and more. 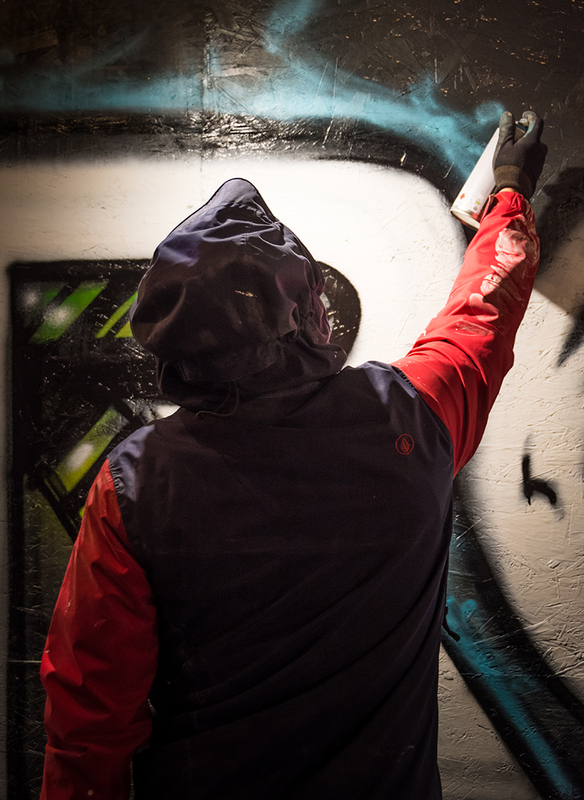 After the festivities concluded, attendees left and right were overheard saying things like “This is legit the best night of my life” or “I’m already excited for the next one” as they ate delicious waffles from Bruges and watched the NVS FAM paint a live graffiti mural out back on the patio. 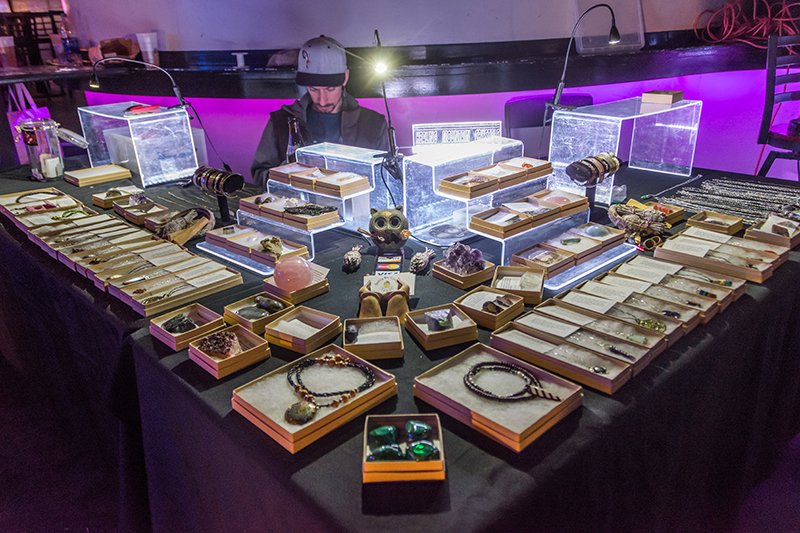 Overall, the event was a major win for local business and artist culture at large. 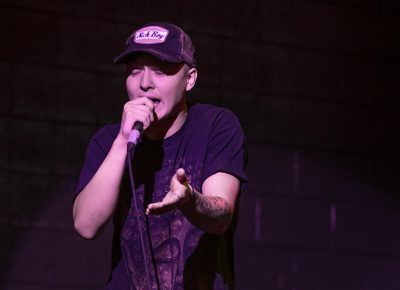 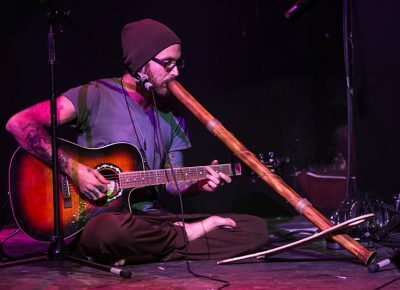 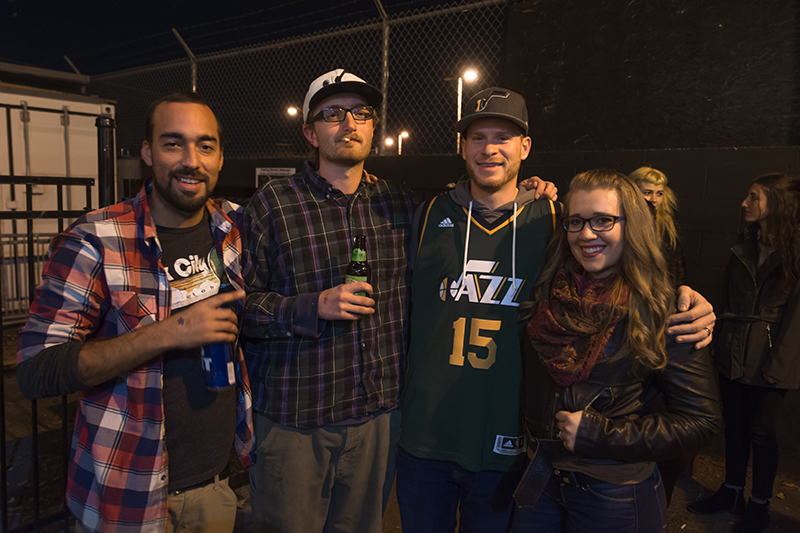 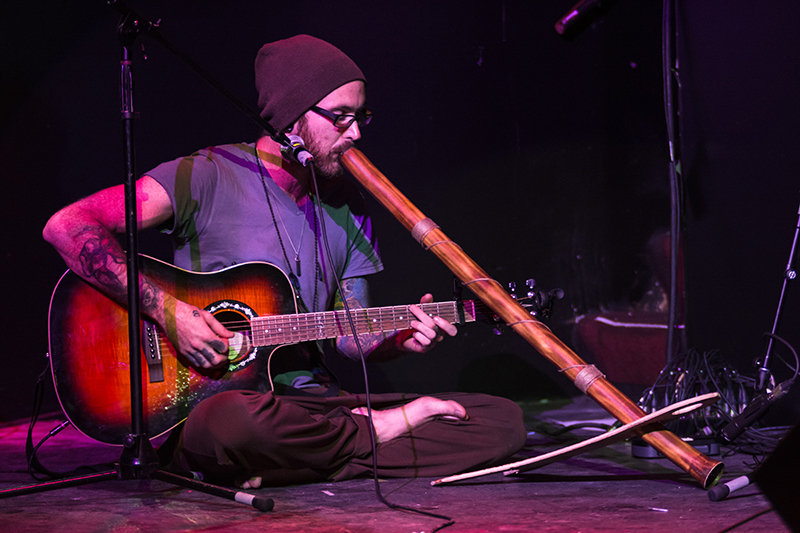 The community was stoked, not only to win some epic prizes and see their favorite local performers rock the stage, but also to come together and help a good cause. 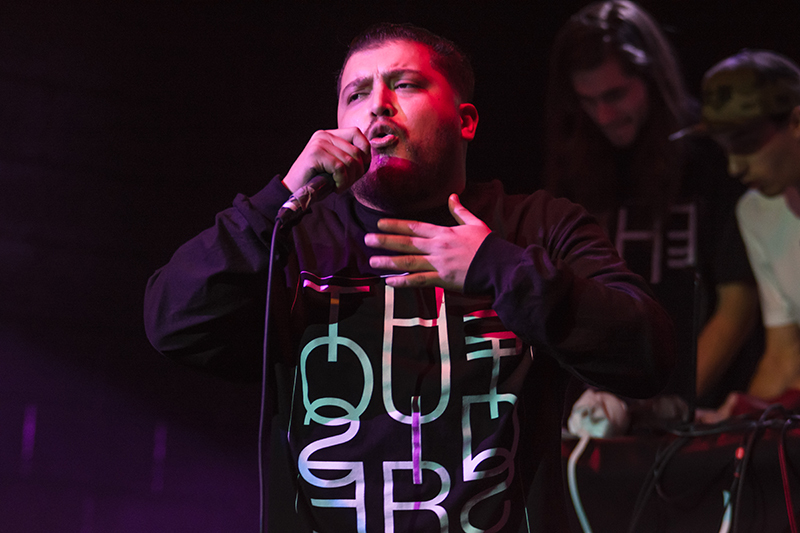 Every Hip Hop Roots event donates money and goods to a different charity or cause, and a portion of all proceeds were donated to help the movement at Standing Rock, along with food and clothing donations going to the Utah Food Bank. 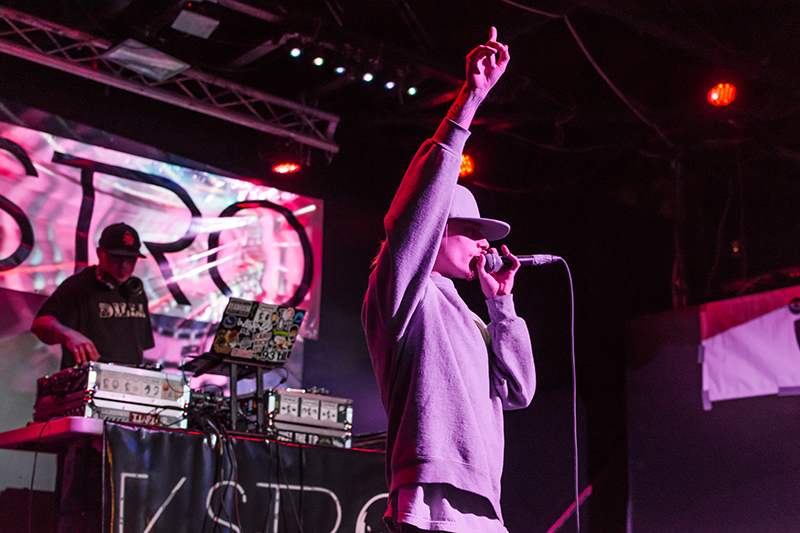 The lineup for next month has not been officially announced just yet, but we have confirmed that Hip Hop Roots will return to the newly remodeled Metro Music Hall on Dec. 30, just in time to ring in the new year with more positive vibes and charity. About Hip Hop Roots: Hip Hop Roots is a world-class platform for artistic culture and community that started over seven years ago in Las Vegas, Nevada. After becoming the longest-running hip-hop show in Las Vegas, the platform eventually expanded to San Diego, Boise, Cedar Rapids and Salt Lake City, becoming an iconic staple in the world of underground hip-hop throughout the process. 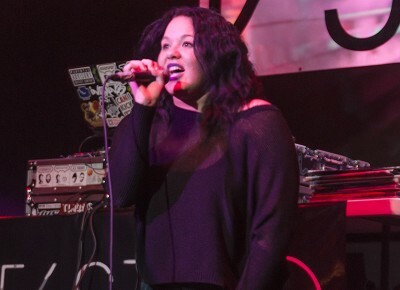 Hip Hop Roots events have featured everyone from first-timers to the world’s most respected artists, including Krs-One, Immortal Technique, Hieroglyphics, Mac Lethal, Wu-Tang Clan and countless others. 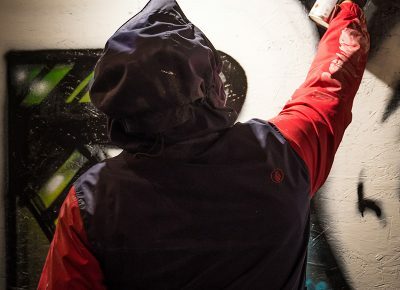 Hip Hop Roots is dedicated to cultivating powerful communities, where the use of artistic culture as a vehicle makes a positive impact on the world. 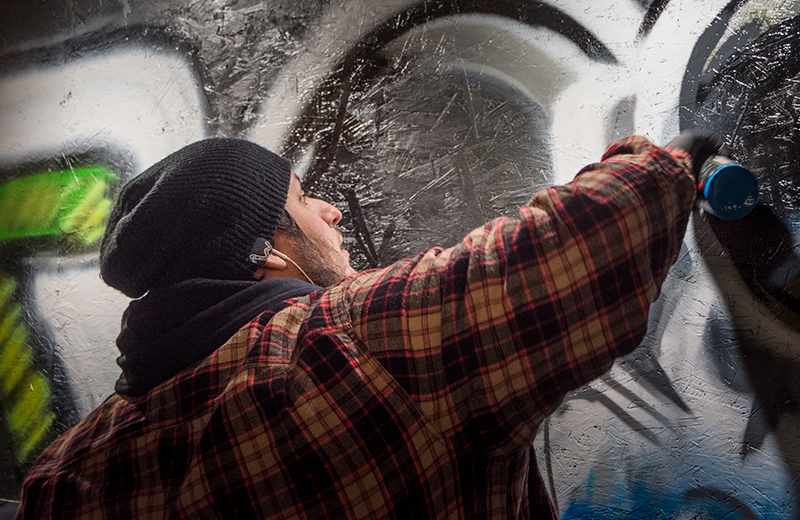 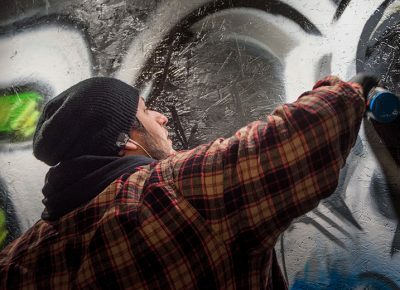 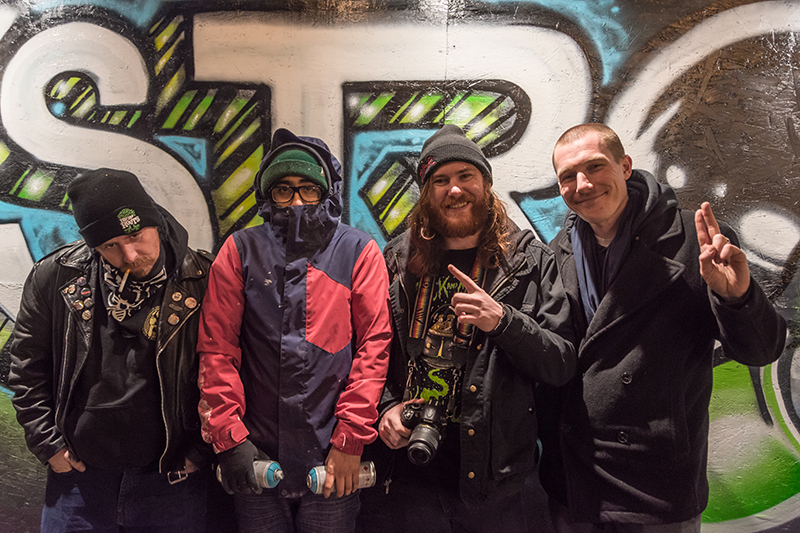 Providing an authentic experience and a damn good time, HHR events often include open mic cyphers, live graffiti art, local vendors, food trucks, breakdancing, and live performances by both local and international talent.